You truly never know what lies right around the corner. The future is completely unpredictable and you could easily find yourself in a precarious situation before you know it. In many cases, people find themselves in a bad situation, because they’re required to spend money they simply do not have. Perhaps the expenses are associated with medical treatment? Alternatively, there may a possibility that you need to replace or repair your automobile. Whatever the situation may be, it is pertinent to prepare in advance for those big future purchases. Tips for doing just that will be provided below. First and foremost, you should begin saving as much money as possible. This might seem easy, but it is simply more difficult than you could ever imagine. With the current state of the economy, most people now live from paycheck to paycheck. They do not believe it is possible to save money. This is often a misconception. Remember that it is not required that you save a substantial amount. Even ten or twenty dollars per month will add up over a long period of time. Begin saving money from each paycheck. You’ll be glad that you did in the near future. Unfortunately, many consumers make the mistake of purchasing items that they simply do not need. Perhaps it is a brand-new television or computer? These items are probably not necessities. Going without your television might be difficult, but it could save you a few hundred dollars. Remember to avoid luxury purchases, unless they are indeed absolutely necessary. Save the money and put it away for a rough day. Loans are generally a big no-no. Nevertheless, they can be very beneficial from time to time. 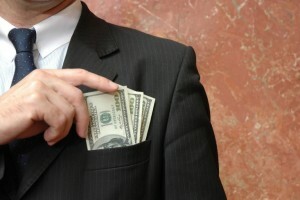 When you’re in need of quick cash, you should definitely think about taking out a loan. Doing so will allow you to get access to the money you need. Just remember that loans can be a double-edged sword. Be very cautious and pay close attention to the interest rates. Also, remember that you may be able to borrow from relatives. This will often allow you to get the money you need, without worry about hefty fees. Click here to find out where to acquire loans. Another thing to remember is that some of the items sitting around your home could be worth a pretty penny. When you run into a troubling situation, you may be able to use these items to your advantage. Take the items to a pawn shop or sell them at an auction. This will help you gain quick access to a good lump sum of money. Although insurance can be expensive, it could prove to be enormously helpful in the future. With the right insurance, you could avoid a hefty medical bill. Alternatively, the insurance could help you fix or replace a damaged vehicle. If you can fit the monthly premium into your budget, you should definitely consider investing in insurance. You’ll be glad you did when an accident happens. Is one of your goals to improve your financial health? If you want to save more money, the first step is getting out of debt. There are many different methods about how to best manage and eliminate debt, and the important thing is to find the one that works for your lifestyle. The best method for eliminating debt is the one you can actually stick to for a long period of time. The easiest way to start is to do a little research to learn about the different types of debt, consolidation and payoff strategies, and budgeting methods. Once you have a good understanding of the options, you can choose the one that’s the right fit for you. 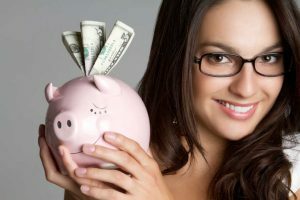 Here are some possible strategies for reducing your debt, saving more, and improving your overall financial situation. If you are like most people, you have a combination of “good” and “bad” debt. Good debt refers to secured debt where there is a reasonable expectation of a return on investment. A mortgage is generally considered good debt. Credit card balances are generally considered bad debt because the interest rates are extremely high and the debt is unsecured. Before you come up with a plan to pay off your debt, look at your overall financial situation and determine how much good and bad debt you have. It’s usually best to pay off the bad debt first. Before you can start paying off your debt in earnest, you may need to rein in your spending habits. For some people, this isn’t possible. If all your monthly spending is truly necessary (such as utility bills, school tuition, mortgage payments, and food), then you may not be able to change it. But most people have at least a few unnecessary expenses every month, such as eating out, daily lattes, or magazine subscriptions. Take a good look at your spending and find any areas where you can cut back until you get your debt under control. Once you have a good understanding of all your debt and have cut back on unnecessary spending, you should prioritize which debts you want to pay off first. 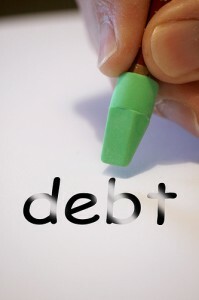 There are several different theories about whether you should pay off “bad” debt first, or the debt with the highest interest rate, or the one with the largest balance, or prioritize according to any number of other aspects. You should choose the method that makes the most sense to you and the one you feel you’ll be the most motivated to achieve. Now that you know which debts you want to pay off first, it’s time to make a plan. Budgeting is an important part of the plan, so you know exactly how much of your income you can put towards debt repayment and how much you need to keep for living expenses. Some people find that using an automatic payment plan works well for actually sticking to the payoff plan. One option for consolidating debt in order to reduce interest payments is to refinance your mortgage. The options for refinancing depend on the current state of the economy, your equity in your home, your credit score, and many other factors. Refinancing is a very smart financial move for some people. It’s a good idea to read about how a refinancing plan works, and if possible talk with a financial adviser or another expert to determine if it’s the right move for you. One way to consolidate your debt and start rebuilding your credit is to secure a personal loan. While this type of loan can be used for many things, one particularly good use is to pay off high-interest credit card balances. There are many personal loan providers so it’s important to use a loan comparison tool to figure out which one is the right fit for your situation. Once you know a bit about the providers, terms, and options, you can apply for your loan and get those credit cards paid off. One of the best ways to save money and improve your financial situation is to get rid of your personal debt as much possible. Paying off debt can be a complex process, so the best way to start is through careful research and planning, and then staying with your plan until you pay off your loans. Auto payments have made managing the household budget much easier. But putting everything on autopilot could end up costing you. With new service providers and deals popping up every day, it pays to evaluate certain expenses at least once a year. Live in a deregulated energy area? Then you’ll want to check the kilowatt-hour rate of electricity at least once every six months or a few weeks before your contract is up. Electric and gas providers are free to adjust their rates at any time and special deals could help you save. The cost of energy sources such as natural gas and coal can also influence rates. When you sign up for an energy plan you have the choice of locking in a rate for a specific time or opting for a fluctuating rate. If you want even more flexibility with rates, choose a plan like the ENMAX Easymax. Customers using this service can switch between fixed rate and floating rate each month. It’s happened to all of us. We sign up for a cable or satellite TV plan with a great intro rate. But as soon as the first 12 months are up, the price suddenly skyrockets. Time to find a more cost-effective entertainment source. Providers are offering new plans all the time. 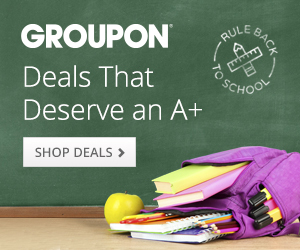 You’ll get the best deals by pairing television and internet service in one plan. Having cable or satellite TV service along with streaming services like Netflix provides endless entertainment options. Of course, more and more people are ditching the cable and satellite providers altogether and saving money by strictly watching online. The cell phone market just continues to grow, and as it does more plans are hitting the market. These days the price of plans largely depends on the monthly data usage. Most providers offer a few unlimited data plans, but they may not be the most cost effective. Take a look at your data usage over the last year. Look for the peaks to determine the most data you’re likely to use in a given month. That’s a good baseline for which cell phone plans will meet your data needs and circumvent expensive overage charges. Shopping for car insurance is a necessity since insurance is required by law in almost every state. Your location can play a role in cost since providers take it into consideration when setting rates. The number of providers offering auto insurance will also vary from one city to the next. It’s important to check available rates at least once a year because your driving record is always changing, which may decrease the monthly premium. There are also a number of other factors that can affect your car insurance rate over time. For instance, if you finally own your car or drive fewer miles to work you can take advantage of better rates. Like your car insurance, you also want to evaluate your homeowners or renters insurance annually. If you move or buy new high-end items you’ll definitely want to update your plan so you’re properly covered. While you’re comparing plans, keep in mind you can reduce costs by switching providers, increasing the deductible or changing the way personal items are insured. You may also be able to lower your rate by using the same provider for your home insurance and auto insurance. If it’s been a year since you signed up for a gym membership, now is the time to see if you could get a better deal elsewhere. Going to the gym is an investment in your health, but if you can save a few bucks every month that’s good for your financial health as well. There are several ways to save on a gym membership. Start by checking the rates at your current gym. If they’re offering a special deal or have lowered their rates for new members they may extend the offer to you. You can also see if you can get discounts through your health insurance. Another way to save is to sign up with a group. Get your co-workers together to compete in a fitness challenge at the start of the year. You’ll also save money while you gain strength and lose weight. Saving money is easier for some people than others because they know how to pinch a penny until it screams. You don’t have to be a miser to have an emergency store of cash in the bank though. All it takes is copying a few of the habits of highly effective savers. Read on for nine of them that work wonders for building up savings accounts. Getting your kids involved in the process of saving money helps curb demands for expensive, unnecessary items each time that you head to the store. Give them a small allowance for chores done around the house, and encourage them to save their own money up for things that they want. Though it might seem like a burden at the time, always consistently contribute to your savings account. Even if all you can afford is a few dollars, be sure to set back this amount as if you are paying a bill. Never wait until an emergency financial situation has come up to begin a savings account. There is never a guarantee that the money that you will need for an emergency situation will be there in the form of a loan or bail-out from a friend or family member. Hard times hit everyone, so always set aside a fund just for emergencies far in advance. Make a list of all of your current expenses. Be sure to include everything, including the items that are very minimal in cost. Then, decide which of them that you need and which are not as important. This exercise forces people to make tough decisions about their spending, so they can see how much they have been wasting on frivolous items. Each time that you spend money, make a conscious effort to analyze why you are choosing to make a purchase. Is it because you are lonely or bored? Do you feel depressed or anxious? Many times people attempt to cover up their feelings through buying things that they don’t need. Smart spenders habitually stop and put unneeded items down before they reach the check-out counter if the items are being purchased because of an emotional trigger. If the reason that a person can’t save is because they simply don’t have enough income coming in, then it might be time for a second job. Effective savers always look for ways to bring in extra money that they can put back for later. It is difficult to save if you don’t know what bills are due or how much you even have in debt or expected expenses. So, put your bills and income receipts in file folders instead of piling them up in a shoe box. Also, make your own payment and income schedules, and keep careful watch over them. Staying organized in these ways will help you notice when expenses are increasing, so you can find ways to trim them back. It is hard to save money if you have friends who are big spenders. So, try to spend time with those who will support your efforts to limit entertainment to ways that are free. Fellow savers can give you great advice and teach you ways to to save more money too. Poor credit will make getting a loan at a good interest rate next to impossible, which means you will end up spending a fortune more than you would have to. Skyblue credit repair can help to remove negative items that could be lowering your score. When regular people think about the hobby of boating, more likely than not, they imagine wealthy people, mimosas in hand, enjoying the sun and surf on their 40-foot yachts. For most people, maintaining this type of luxurious hobby is out of the question budget-wise. However, the truth is that boating can be as affordable as it is gratifying — if prospective boat owners are smart in how they save and spend on their vessels. Owning a boat certainly isn’t cheap, but for those who are enchanted by the hobby and savvy with their budgets, boating can be reasonably priced and particularly rewarding. Saving for a boat is just like saving for any other major investment, like a house or a car. Before you start putting money into an account, you have to understand how much you already have available and how much you are willing and able to part with. Then, you should calculate how much your dream boat (or the affordable version of your dream boat) costs and evaluate how long you have until you want to get out on the water. With this information, you can instigate a savings plan that will help you accumulate enough money for your sailing dreams. The most effective way to stay true to your savings plan is to make it happen automatically. For example, you should ask your employer to directly deposit a portion of your paycheck into a separate savings account. Then, you won’t eat into your boat savings when you dine out or go shopping because your money will be stashed in a separate account from your everyday expenditures. Collect the coins from your wallet, purse, sofa, and car and keep them in a jar to be added to your boat savings. Cut down on bad habits, like drinking, smoking, and retail therapy, which have a high price tag. Avoid falling victim to coupon scams, which can trick you into buying items you don’t need. Sign up for credit cards or rewards cards that have useful benefits. Before you start saving, you should do research into exactly what boat you want — after all, an inflatable isn’t going to cost nearly as much as a motor yacht. While you consider your ideal make and model, you should also entertain where and from whom you will buy your boat. Certain vendors can make a substantial impact on the price of vessels, so it is important to consider multiple sellers before you put money down for a certain craft. A brand new boat may be the most desirable, but it certainly isn’t the most cost-effective choice. Like cars, boats begin to depreciate in value as soon as they leave the showroom, so you may be able to find a vessel that is barely a year old but costs more than 20 percent less than a new version. If you are open to the idea of a refurbished boat, you should also look into boat donation charities, who restore old boats and resell them at astoundingly low prices to benefit the community. Owning a boat carries almost as many responsibilities as owning a pet: You must feed it (fuel, not kibble), wash it, and take it out every once in a while to ensure it runs healthily and happily. Unfortunately, all of these responsibilities require small additional investments in your vessel which can add up over time. However, there are a few tips and tricks at keeping maintenance costs low in the long run. First and foremost, you should never neglect your boat’s most important parts: the hull and the engine. If either element falls into disrepair, you will face a choice between spending thousands of dollars in repairs or spending about as much on a new boat. You should be familiar with the necessities of your boat’s engine, including fuel, oil, and various fluids, and you should be diligent in keeping the hull painted and sealed. For the most part, cleaning shouldn’t be an exorbitant expense. You can make plenty of boat cleaners with household ingredients, like vinegar, baking soda, and water. Additionally, most boaters agree that most cleaning needs are moot if you remember to give your boat a freshwater wash down after every use. Other boating fees, including marina storage and insurance payments, may not be negotiable, unless you are willing to downsize your dream boat. However, if you have worked hard to afford your craft, you should find it easy to part with the nominal monthly fees that allow you to enjoy such a worthwhile sport.